When you start searching for Eriba caravan parts you don't realise that they will be from someone's beloved caravan window spares that they just can't afford to repair so they send us a message like these. Roxton Bedfordshire, MK443EL 1991 Swift Challenger 510/4SE. All systems functioning including a "MOVE CONTROL". Not worth repairing due to damp. Interior furnishings are dry. Not yet roadworthy due to flat tyre, valve cracked. Awning available but no steps or table. Hi there I have a abi globetrotter gxl roughly 1992. It has damp around the inside front window fully working and road ready. The caravan has an alko hitch lock it comes with a gas bottle I don't think there is any think else. Caravan is collection from Shrewsbury. If you could get back in touch with a price that would be fantastic. Regards. Hi. 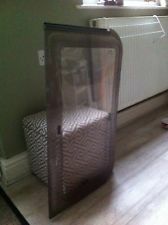 looking for used caravan windows Eriba caravan parts and I have a 1991 Lunar Planet Sunbeam 4/5 berth that I am looking to move around the May. It is located in Yateley, Hants. It is fully road worthy and was serviced last year and used at Easter. It has truma gas heater, truma gas/ electric water heater, thetford loo, 3 way fridge. 3 ring burner, grill and oven all of which are in full working order. The van inside is in excellent condition all lights windows and roof lights are in good order. Upholstery all present and in good order. There is damp in both rear corners and down the left side. Front and roof are dry. Rear panel was caught on a low wall, it didn't puncture and has been fibre glassed over. I have some pictures of it does this sound like something you might be interested in. Thanks. 1998 Elddis Broadway 470/2 Please I require the bottom half of the nearside door with the louvre vents in the bottom and with the Green mottled waistline stripe. Please do you have one and at what price. Looking for a spare wheel for a abi sprinter 400d 1999. I am looking for a external door for a Compass Kensington 490/5, ours was damaged when it was broken into. 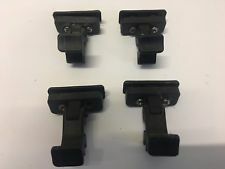 I require caravan window latches and brake shoes x 2 pairs for a Swift Challenger 530 SB registered 26/01/2000 single axle, new of course, please advise if you can supply and cost with payment details. I am searching for right rear light to Hobby 400 SF Deluxe Easy 2005 model. Any possibility you would have used spare part available? If, then what would be the price when shipped to Finland? I have a 1992 Adria Optima 4 berth caravan I need to remove from a site near Sandsend and was wondering if you are interested? It is in good condition inside and out with a working fridge, hob, toilet etc. It has not been moved from the site for a considerable time therefore I have reservations about the condition of the tyres etc. 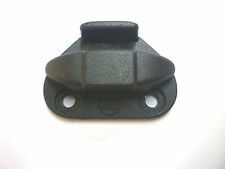 Please let me know Eriba caravan parts and we can discuss further.